Cheapfá go raibh a dhothain dochar déanta ag Sinn Féin do na meáin Ghaeilge nó tá ionadaithe an pháirtí ar bhord Fhoras na Gaeilge tar éis suí ar a lámha agus dhá nuachtán Ghaeilge á dhruidim ceal tacaíochta ón bhForas céanna. Anois tá siad ag iarraidh grúpa comhairleach a chur ar bun chun “moltaí a chur le chéile agus agus a chur faoi bhráid an rialtais maidir le todhchaí na meán clóite agus na meáin craolta in Éirinn”. Labhair Piaras Ó Dochartaigh, Sinn Féin, ag an gcruinniú agus luaigh sé cás Foinse mar shampla don ghéarghá atá ann do pholasaithe agus reachtaíocht a chur ar bun agus tiomantas agus tacaíocht do na meáin dúchasacha a léiriú. Dúirt sé go raibh sé do-ghlactha go raibh a phort deireanach seinnte ag Foinse, a d’fhoilsigh an t-eagrán deireanach ag an deireadh seachtaine. Má tá sé doghlactha aige go raibh port deireannach Foinse seinnte, cén fath go raibh sé inghlactha ag a chomhleacaithe atá ina suí ar bhórd Fhoras na Gaeilge? Tá soir agus siar ann faoi fhiúntas Foinse agus an slí gur tháinig deireadh leis an nuachtán agus daoine den tuairim ná raibh an scéal iomlán á roinnt ag Pádraig Ó Céidigh linn. Bhí dhá stiúrthóir ar an gcomhlacht, mar shampla, agus ní raibh, is cosúil, aon bhaint acu le reachtáil na comhlachta ó lá go lá ach tá ceist ann faoi cé acu an raibh siad araon ag tarraingt tuarastal substaintiúil ón gcomhlacht. Más amhlaidh go raibh, cén fath go raibh? Táimse den tuairim go mba cheart go mbeadh stiurthóirí na comhlachta ag fáíl sciar den brabhús ós rud é gurb iad a bhunaigh an nuachtán – ach níl a fhios agam an bhfuil sé ceart go mbeadh tuarastal á tharraingt acu agus gan iad fostaithe go foirmeálta ag an gcomhlacht…. Ag an am chéanna, tá gá le diancheistiú ar ionadaithe Shinn Féin agus ionadaithe na bpairtithe eile atá ina shuí timpeall ar bhórd an Fhorais féachaint cén fath gur lig siad an dara nuachtán Ghaeilge chun báis i dtréimhse sé mhí. Níl sé maith a dhothain go bhfuil an Seanadóir Piaras Ó Dochartaigh ag dul thart agus ag béicigh faoi dhúnadh Foinse agus go gcaithfidh an Rialtas seo, siúd agus eile a dhéanamh faoi seo nuair atá neamh íontas á dhéanamh aige de ról a pháirtí féin sa chliseadh is déanaí – agus sa chliseadh a chuaigh roimhe. An é nach dtuigeann sé an scéal iomlán nó an bhfuil sé ag iarraidh an dubh a chur ina gheal orainn? Tá alt ag Seán Tadhg Ó Gairbhí i dTuarascáil inniu agus é ag caint ar an ghá atá le nuachtán Ghaeilge agus an baol ina bhfuil an teanga anois d’uireasa Foinse. Rinne sé tagairt sleasach do Lá Nua – gan ainm an nuachtáin a lua – an é Lá Nua an t-ainm nach féidir a chur i gcló ar cholún Ghaeilge an Irish Times ar chúis éigean? Foilsiú: 01/07/2009 . igaeilge a d’fhoilsigh. Ranganna: An Ghaeilge, Cúrsaí Reatha. Clibeanna: An Seanadóir Piaras Ó Dochartaigh, Foinse, Foras na Gaeilge, Gaelport, Irish Times, Lá Nua, Pádraig Ó Céidigh, Pól Ó Muirí, Sinn Féin. An bhfuil an cholúnaí ina chodladh nó ina mhúscailt? Tá sé ráite agams roimhe anseo agus ní bheidh mé cuthallach faoi anois. Is beag mo mheas ar an gcolúnaí leis an Irish Times, Eagarthóír Ghaeilge an nuachtáín sin, Pól O Muirí. Tá dearcadh éagsúil agam ar an slí a d’fhás an Ghaeilge ó thuaidh i gcaitheamh na mblianta agus ní réitím lena dhearcadh. Ar aon nós, tá a dhearcadh éagsúil le tabhairt faoi ndeara go soiléir ina cholún san Belfast Telegraph inniu agus é ag cur síos ar an dtaispeantas faoi leabhar Cholmcille a osclaíodh le déanaí ag Leabarlann na Carraige /Cregagh an tseachtain seo chaite. What a cultural coup for the organisers of the event: Colmcille, an organisation that aims to strengthen links between Irish-speaking Ireland and Gaelic-speaking Scotland and the ULTACH Trust, a group who promote Irish on a cross-community basis — and a group who have had to endure some vicious criticism from the Provo language brigade over the years. Still, what a victory. It was not the slabbers, the table-thumpers or the fantasists who brought Paisley into the language fold, it was the quiet, conscientious and dedicated workers of Colmcille and the ULTACH Trust. Níl a fhios agamsa faoi Phól ach níor chréid mé riamh go raibh ann don ‘Provo Language Brigade’ agus ní aithním ón aithne atá agam ar phobal na Gaeilge i mBéal Feirste na ‘slabbers’ agus ‘table thumpers’ seo a luann sé. B’fheidir go bhfuil corr ‘fantasist’ ann nó cad is Cultúrlann McAdam O Fiaich ann ach toradh ar shaothar cúpla ‘fantasist’! ngluaiseacht na poblachta, maith go leor, a shanntaíonn an Ghaeilge. Bhí agus tá daoine sa ghluaiseacht céanna a thacaíonn go dluth leis an teanga agus gur mó an cloch é ar a bpáidrín ná an Phoblacht féin fiú – agus tá an oiread ceart acu san tacú leis an teanga is atá ag Ian Paisley nó ag duine ar bith eile. Ach, don mórchuid, is gluaiseacht gallda é gluaiseacht na poblachta, gluaiseacht atá cúl tugtha aici le fada don teanga ach a bhaineann úsáid aistí ó am go chéile ar mhaithe le cúinsí pholatúla. Uaireannta tá seo ar leas na Gaeilge, uaireannta eile níl. Ba léiriú ar an dearcadh pholatúil atá ag an ngluaiseacht seo ar an nGaeilge go raibh ráiteas scor an IRA i Lúnasa 2005 go h-iomlán i mBéarla. Más buan mo chuimhne, ní raibh riamh ráiteas ón IRA i nGaeilge. Is cuimhin liom bheith míshásta faoi seo uair amháin, trath ar deineadh an forogra. Cainteoir Ghaeilge aitheanta, go deimhin tá sé ina bhall ainmnithe ar Fhoras na Gaeilge ag Sinn Féin anois, an t-é a dhein an forogra, Séanna Breathnach, agus mhothaigh mé go mbeadh sé ina ‘choup’ deas don Ghaeilge ar bhonn domhanda dá mbeadh an ráiteas stairiúil seo i nGaeilge. Ní amhlaidh a tharla – agus anois táim díreach chomh sasta. An rud a chuireann íontas orm faoin ráiteas ó cholún Uí Mhuirí atá le léamh thuas nár léir ón ráiteas go raibh a fhios ag an cholúnaí go raibh Ian Paisley faoi agallamh ar Raidió Fáílte, staisiún raidió atá go h-iomlán oscailte don phobal agus chomh tras phobalach is nach bhféadfadh colúnaí ón Belfast Telegraph a shamhlú, agus é i láthair ag an ocáid atá faoi chaibidil aige. An amhlaidh nár thug an cholúnaí faoi ndeara na tuairiscí sa Belfast Telegraph féin faoin ‘scúp’ stairiúil seo? Nó an é go bhfuil O Muirí ag caitheamh le Raidió Fáílte sa chás seo mar ar chaith sé ar feadh na mblianta le Lá/Lá Nua, is é sin gan tagairt dá laghad a dhéanamh don obair atá ar bun ag leitheidí Raidió Fáílte, Cultúrlann McAdam O Fiaich agus eile [agus a bhí ar bun ag Lá Nua, gan amhras] chun an Ghaeilge a chur chun cinn agus an oiread de gach pobal agus ar féidir a thabhairt lei? Bhí an dearcadh sin, Gaeilgeoirí maithe agus droch Ghaeilgeoirí, go mór chun cinn scór bliain ó shin. Bhí sé mar pholasaí Rialtais ag an am a chinntiú nach bhfaigheadh eagrais áirithe aon chabhair airgid de bharr ‘amhras’ go raibh an t-airgead sin ag dul i dtreo paraimilitigh an IRA. Ní raibh bunús leis an uair sin – agus níl bunús leis anois. Níl a fhios agam cad a chreideann Pól O Muirí faoi Raidió Fáilte agus an bhfuil tuairim aige nó nach bhfuil faoin scúp a fuair an staisiún raidió sin, agallamh le hIan Paisley, ag an ocáid seo, oscailt oifigiúil an taispeantais ealaíne is seoladh an leabhair faoi Cholmcille. Bheadh ar dhuine bheith ina chodladh le seachtain anuas gan an scéal faoin scúp a thabhairt faoi ndeara. Bheadh ar dhuine bheith ina chodladh le fiche bliain gan a thabhairt faoi ndeara go bhfuil deireadh tagtha le ré na ndea Gaeilgeoirí is na ndroch Ghaeilgeoirí. Fiú aithníonn Ian Paisley an méid sin anois! Agus ar eagla na mí-thuisceana, ní h-ionann seo agus íonsaí ar Iontaobhas ULTACH nó Colmcille. Tá ard mheas agam ar obair an Iontaobhais agus iad ag déanamh na h-oibre ar chúrsaí craoltóíreachta is eile i gcaitheamh na mblianta. Bhí níos mó ná argóint amháin agam leo ach glacaim leis go bhfuil an obair atá ar bun acu maidir le h-íomhá na Gaeilge a thogáil leis an bpobal eile tabhachtach. Is amhlaidh go gcreidim go bhfuil an obair céanna ar bun ag leitheidí Cultúrlann McAdam O Fiaich, Raidió Fáilte agus, go deimhin Lá Nua/Lá, gan buiochas ó Phól Uí Mhuirí ná a chomhionann le blianta fada. Foilsiú: 19/01/2009 . igaeilge a d’fhoilsigh. Ranganna: An Ghaeilge, Cúrsaí Reatha, Nuacht. Clibeanna: Gluaiseacht na Poblachta, Ian Paisley, Máírtín Ó Muilleoir, Pól Ó Muirí. Tháinig casadh eile sa chonspóid faoin iris Comhar inniu, nuair a fhograíodh ar Foinse, go raibh eagarthóir nua ceaptha le teacht sa bhearna atá fagtha de bharr eirí as Aindrias O Cathasaigh. Is cosúil gurb é Pól O Muirí, Eagarthóir Ghaeilge an Irish Times, an t-é atá ceaptha le bheith ina ‘eagarthóir’ ar Comhar tar éis gur eirigh Aindrias as an chúram nuair a cuireadh ar a shúile do go mbeadh ar an iris a chuir faoi bhraid an bhoird sara bhfoilseofaí é agus gur deineadh cinsireacht ar thrí eagarfhocal a bhí sé i gceist aige foilsiú. Foilsíodh na h-altanna seo sa deireadh thiar i Lá Nua agus is furaist a fheiscint cén fath nár fhoilsigh bórd Comhar, atá ag brath ar mhaoiniú ó Fhoras na Gaeilge, na h-altanna. Ceann de na h-altanna, cháin sé bórd an Fhorais agus bhí dímholadh ar leith ann do chomhaltaí SF an bhoird as ucht cinneadh an bhoird i leith an nuachtáin laethúil. Níl aon meas agamsa ar Phól Uí Mhuirí mar iriseoir nó mar eagarthóir. Is cinnte nach mó a mheas orm ná mo mheas air. Cé gur cuireadh mé faoi agallamh do phost eagarthóra Comhar roimhe seo, nuair a fhograíodh an fholúntas ar dtúis, is léir dom anois go raibh an t-adh liom nár ceapadh sa phost mé. Dá achrannaí é Aindrias do bhord Comhar, is cinnte gur mó an achrann mise doibh. Ní ghlacfainn le post Comhar sna cuinsí seo ná baol air nó mhothóinn go raibh mé ag cuidiú leis an gcinsireacht atá ar bun, dar liom, ag bórd Comhar. Ní raibh páirt agam riamh le cinsireacht agus ní bheidh. Agus is mó an difir idir cinsireacht is eagarthóireacht ná mar a thuigfidh bórd Comhar riamh. 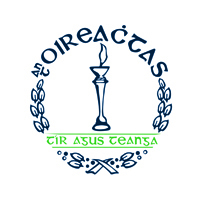 Cuireann sé imní nach beag orm anois gur gar go mbeidh manaplacht in iriseoireacht chlóite na Gaeilge i seilbh dhornán bheag dhaoine. Nuair a imeoidh Lá Nua i mbéal na Nollag, ní bheidh ach cúpla ball fagtha sa chlub – Foinse, Comhar, trian leathnaigh Ghaeilge an Irish Times, Feasta, An Sagart….agus, bhuel, buiochas le Dia, nós*. Ar an liosta sin, is ag an Foinse, Comhar agus an IT a bheidh an fhorlamhas. Scríobhann Pól O Muirí do Foinse agus is é an Eagarthóir Ghaeilge ar an Irish Times agus Eagarthóir Comhar. Fiú dá n-aontófá leis an Muiríoch i ngach alt a tháinig riamh óna pheann, bheithfeá den tuairim nach slaintiúil an rud é go raibh a chuid práisigh ar fud na miasa ar fad mar is léir go mbeidh. Beag tagairt a deineadh do mhion shonraithe na conspóide i dtuairisc Foinse ar an gceapachán inniu. Léiriú arís eile go bhfuil an drúisiúlacht atá ag teacht chun tosaigh sna meáín chlóite Ghaeilge ag cothú cinsireacht nó féin chinsireacht nach bhfuil sláintiúil don iriseoireacht nó don dhaonláthas. Deirtear sa tuairisc i Foinse, gur ceapachán ‘eatramhach’ é seo. B’fheidir é, ach tá nós ag ceapacháin eatramhacha iompú ina gceapacháin buana. Ní h-é seo an chéad uair do bheith ina eagarthóir ar Comhar agus ní cuimhin liom gur chuaigh sé i bhfeidhm orm mar eagarthóir ceannródach nó dúshlánach le linn a thréimhse deiridh sa phost seo. Tá gá le h-iris cosúil le Comhar. Tá gá le leirmheastóireacht ar leabhair Ghaeilge nach deintear ach go h-ánnamh i nuachtáin ar nós an Irish Times – aisteach go leor bhí leirmheas ar leabhar nua le hÉilís Ní Dhuibhne, Dún an Airgid, san Irish Times inniu, i mBéarla ach bhí sé ann. Tá gá freisin le h-iris ina ndeintear plé réasúnta doimhin ar ábhair a bhaineann le cúrsaí reatha agus polataíocht ach ní féidir é sin a dhéanamh go h-oibiachtúil agus scamall na cinsireachta a bheith ag crochadh os do chionn. Agus is é sin an chás le Comhar anois, cuma cé bheadh ina eagarthóir air. Níl a fhios agamsa nó ag aon duine a bheadh fonn ar an iris a léamh an raibh ar an iris seo bheith scagtha ar dtúis ag bórd Comhar ar eagla na h-eagla go gcuirfeadh sé olc ar aoinne, mar shampla bord an Fhorais. Roimhe seo ní bhíodh de thoradh ar an ndrúis a bhí ar bun sna meáín chlóite Ghaeilge ach go gcoinneodh Foinse agus a gcáirde greim daingean ar na gradaim a bhíodh á roinnt ag Gradaim na Meáin Chumarsáide Ghaeilge ag an Oireachtas. Dheineas gearán faoi sin ag an am – de bharr go raibh na gradaim seo á chinneadh de reir ‘vóta’ i measc ‘daoine áirithe’ sna meáin, a bhfurmhór siúd roinnte idir RnaG, TG4, Foinse. Duaireas ós árd gur cheart painéal mholtóírí a bheith ann, mar a bhionn ag gach comórtas eile ag an Oireachtas, chun buaiteoirí na gcomórtaisí seo a roghnú. Samhlaigh dá mbeadh buaiteoir Chorn Uí Riada á roghnú de reir vóta, seachas de réir breith mholtóirí! Ar aon nós, níor tugadh cluas dom ach an rud a rinne Stiurthóír an Oireachtais, Liam O Maolaodha, eagrú na h-ocáide a chur i lámha chomhlacht caidrimh poiblí, amhail is go leigheasfadh sé sin an fhadhb. Anois tá rud eigean níos luachmhaire ar fad ná vása criostail i mbaol, tá léargas neamhspleach na h-iriseoireachta Gaeilge ar shaol na Gaeilge agus an domhan mhór i bpriacal. Sa mhéid is go gcreidim go bhfuil gá le h-iris cosúil le Comhar, guím rath ar an eagarthóir nua-cheaptha. Guím nach ngeillfidh sé don cinsireacht nó don dhrúis mhí-shláintiúil seo. Guím nach ngeillfidh sé d’Fhoras na Gaeilge agus a gclaonadh gach guth easaontach a chuir ina thost más féidir leo é seo a dhéanamh. Tá amhras orm faoi thodhchaí Comhar agus faoi thodhchaí na h-iriseoireachta chlóite Ghaeilge ar pháipéar. Tá amhras agus imní orm. Foilsiú: 15/11/2008 . igaeilge a d’fhoilsigh. Ranganna: An Ghaeilge, Cúrsaí Reatha, Cultúr, Nuacht. Clibeanna: Aindrias Ó Cathasaigh, cinsireacht, Comhar, conspóid, Foras na Gaeilge, Pól Ó Muirí.